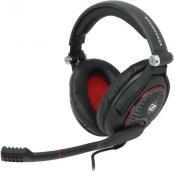 Equipped with 50-mm driver units, this headset delivers a crystal clear audio. Windows Sonic will help you distinguish aerial backup flying past overhead or enemies trying to sneak up on you from behind. 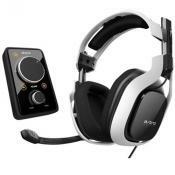 You'll hear every sound with the clarity necessary for the most immersive gaming experience. The range is limited to about 20 feet. 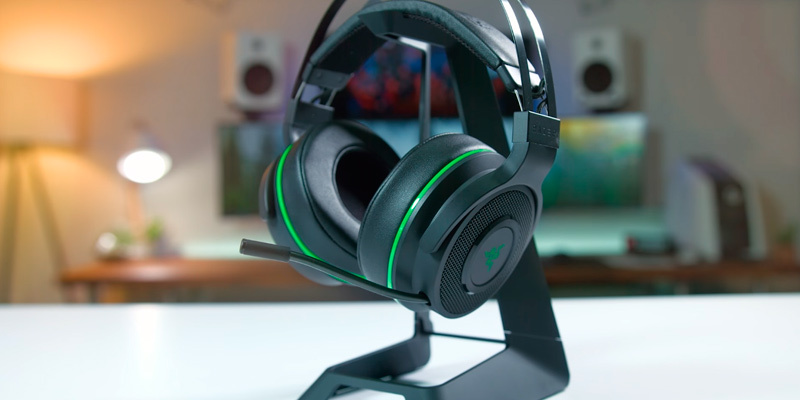 Razer Thresher is the best wireless gaming headset choice for Xbox players. On top of being ridiculously comfortable, these headphones have the highest frequency range. It makes the audio feel more audibly spacious and impactful, so you get extra details, better transience, and rumble. 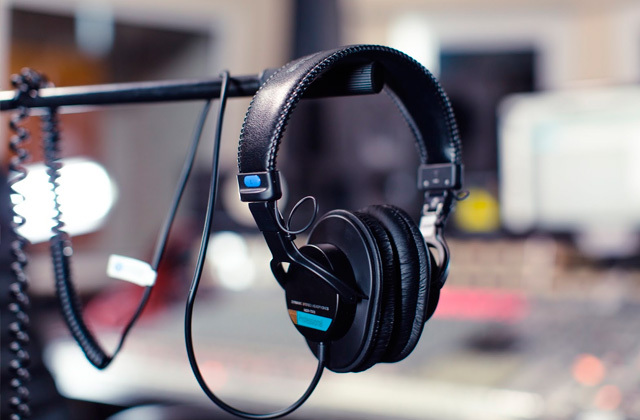 The Discord-certified ClearCast mic gives you studio-quality voice clarity and outstanding background noise cancellation. The S1 speaker drivers, designed to produce very little distortion audio, allow you to hear every detail. The next-generation DTS Headphone: X v2.0 surround sound gives you 360-degree precision. The volume control wheel is a little too sensitive. 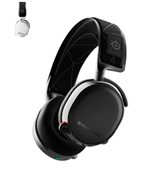 SteelSeries Arctis 7 follows in the footsteps of its predecessor. The audio quality remains just as excellent. 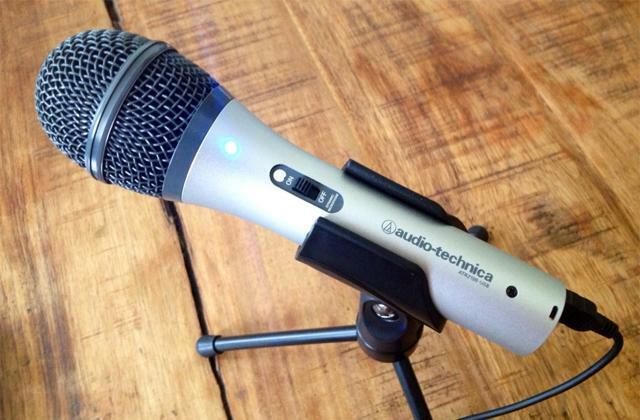 The latest iteration of the company's renowned microphone doesn't fail to deliver. 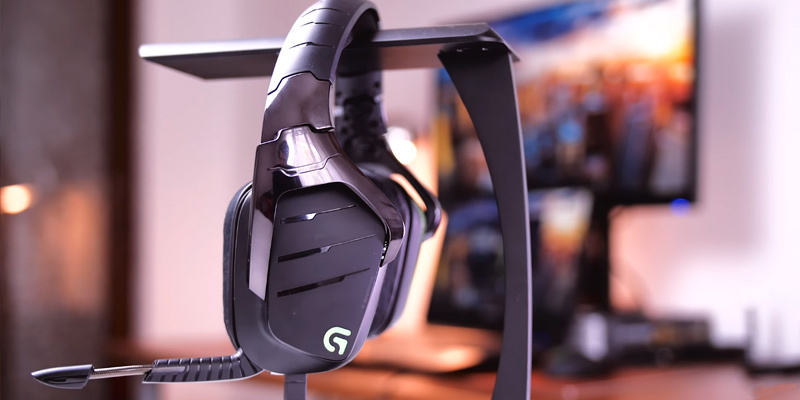 The ergonomic design makes this wireless gaming headset a real pleasure to deal with. Armed with Pro-GTM audio drivers, these wireless headphones present the crispest and most dynamic sound with stereo, 7.1 Dolby Surround, or 7.1 DTS Headphone: X Surround Sound. 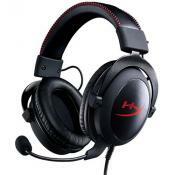 The headphones are compatible with virtually any platform. 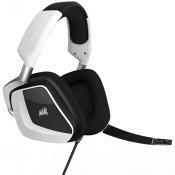 The headset has customizable RGB lighting and swappable backlit custom tags. The battery doesn't last for a particularly long time. 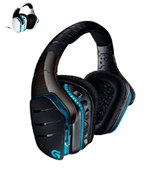 Logitech G933 Artemis Spectrum has it all. From superior sound performance to controls and customization, it doesn't come up short in any major category. 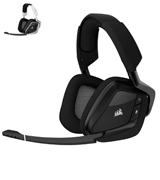 Plus, with 107dB sensitivity, it is loud enough to outvoice any crowd at any LAN. Stylish, inexpensive, and functional, you can't go wrong with this headset. Incorporating metal structural components and glass fiber infused plastics, these wireless headphones are the definition of durability. The optimized uni-directional mic with an LED mute indicator does a bang-up job reducing ambient noise for excellent voice quality. Some find the microfiber ear cups a tad uncomfortable. Corsair Void PRO doesn't leave a whole lot of room for complaints. Though advertised as a wireless gaming headset, the model is just as awesome for exploring all genres of music and cinema. Once you get used to this level of immersion, you won't be able to settle for anything less. The detachable uni-directional noise-canceling microphone will allow you to deliver clear callouts to your teammates with its minus 45 ± 3 dB sensitivity. 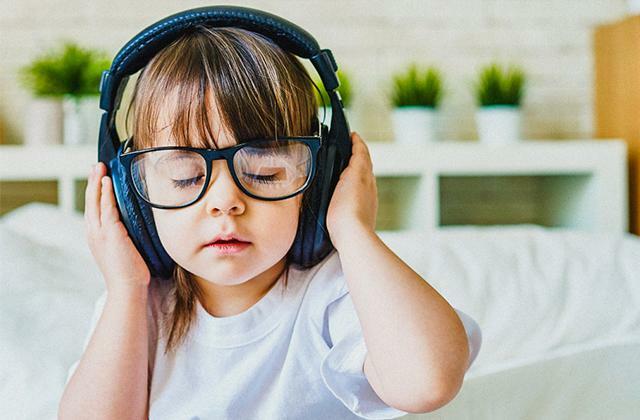 It will be able to remove or, at the very least, minimize a staggering amount of background noise. Doesn't incorporate a surround sound technology. 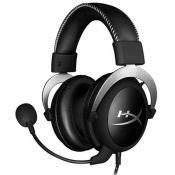 HyperX Cloud Flight is a wireless gaming headset that will never give up on you. It isn't cheap but the model will be able to support you through countless gaming ventures. It will also let you make a customized fit and control everything with on-board dials. Razer has many haters but that's the price you pay for success. 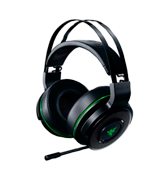 The reason the company has been able to become so successful in the first place is because they make excellent gaming peripherals and Razer Thresher is no exception. Folk like to say that Razer is often willing to sacrifice aesthetics in favor of performance but, with this model, it couldn't be further from the truth. 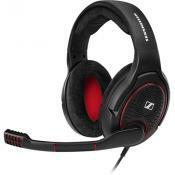 Equipped with 50-mm driver units, this headset delivers a crystal clear audio. On top of that, these headphones incorporate Windows Sonic, Microsoft's latest take on the Surround Sound technology. With it, you'll always be able to distinguish aerial backup flying past overhead or enemies trying to sneak up on you from behind. You'll hear every little detail with the clarity necessary for the most immersive gaming experience. Of course, this is still Razer we're talking about, so they couldn't possibly get away with a subpar, ugly-looking device. Aside from their usual aesthetic with the combination of black and green, these headphones incorporate the most lightweight leatherette noise-isolating ear cushions with memory foam padding. They wick away moisture, conform to the shape of your head, and allow you to play for hours feeling snug and comfortable. 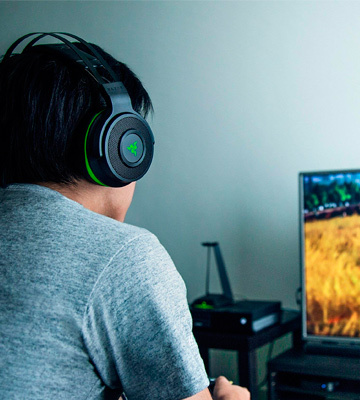 Long story short, Razer Thresher is the best wireless gaming headset pick for Xbox players. On top of being ridiculously comfortable, these headphones have the highest frequency range. 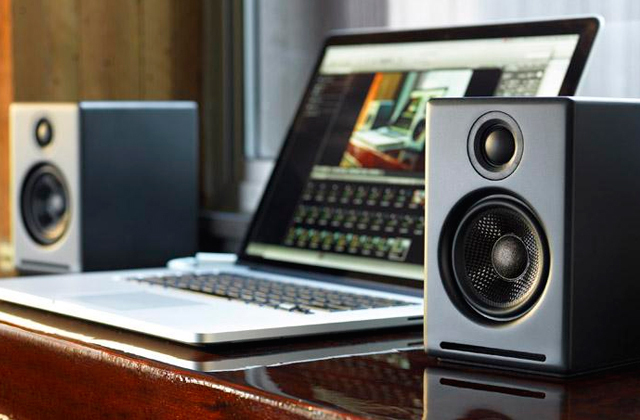 It makes the audio feel more audibly spacious and impactful, so you get extra details, better transience, and rumble. 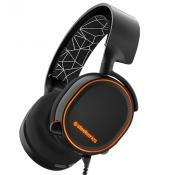 What we like about SteelSeries in general and SteelSeries Arctis 7 is that they never fail to deliver on the headphones or the mic front. So let's start with the latter. Recognized by gamers all over the world as one of the best microphones in gaming, the Discord-certified ClearCast mic gives you studio-quality voice clarity and outstanding background noise cancellation. As for the headphones, the driving force and the cornerstone of the model's excellent audio quality are the S1 speaker drivers. Designed to produce practically no distortion audio, these things allow you to hear every detail. 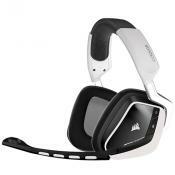 A quality wireless gaming headset is nothing without the Surround Sound technology. Here, you get to play with the next-generation DTS Headphone: X v2.0 surround sound. It gives you 360-degree precision, so you'll be able to catch every squeak coming from any and every direction. One of the biggest part's of the model's appeal is its range. They give you a clear transmission over a distance of 40 feet, so you can kick back and relax on the couch far away from the display. Finally, no gaming headset is worth its salt if it isn't comfortable. That's where the ski goggle suspension headband comes in. By perfectly contouring across your entire head, the headband comfortably distributes the weight of the headset and eliminates pressure points. 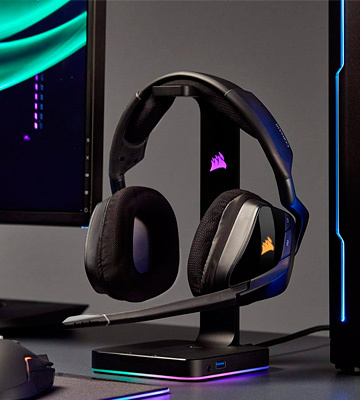 Bottom line, SteelSeries Arctis 7 follows in the footsteps of its predecessor. The audio quality remains just as excellent. The latest iteration of the company's renowned microphone doesn't fail to deliver. 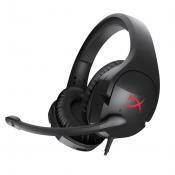 The ergonomic design makes this wireless gaming headset a real pleasure to deal with. 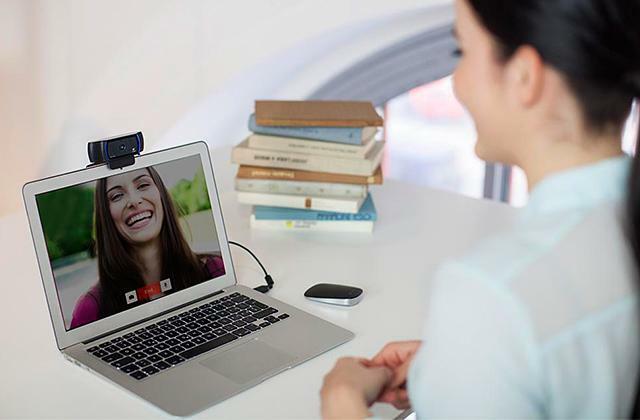 Logitech wasn't the first company to hop on the wireless trend but, as per usual, the company never fails to improve on the tried-and-tested formula. 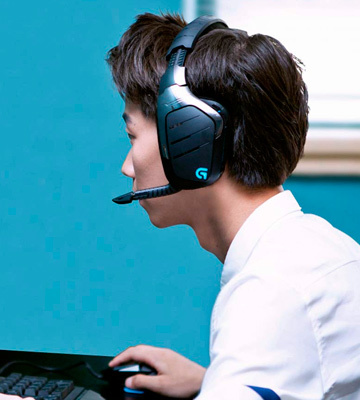 With Logitech G933 Artemis Spectrum, what we like most is the staggering quality of its sound performance. Armed with Pro-GTM audio drivers, these wireless headphones present the crispest and most dynamic sound with stereo, 7.1 Dolby Surround, or 7.1 DTS Headphone: X Surround Sound. The company was never the one to discriminate either. 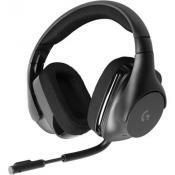 It doesn't matter whether you prefer to play on any computer/laptop, PS3, PS4, Xbox, Nintendo Switch, or even on a mobile phone, the headset is compatible with all of them. For a lot of people, Logitech is virtually synonymous with their G-series peripherals. 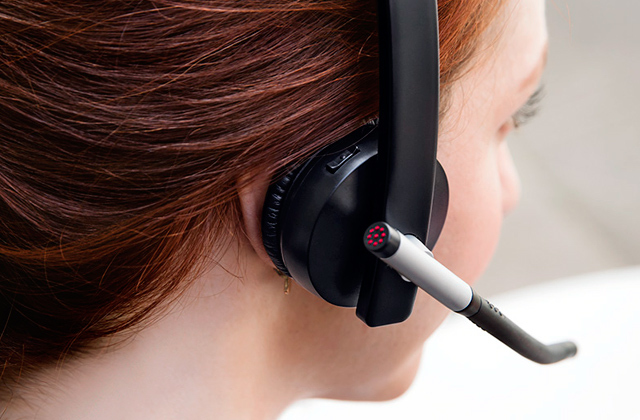 To meet their expectations, the people behind this headset included 3 programmable G-keys. As per usual, you can use these keys to assign macros for the most complex in-game commands. Some believe that gaming is as much about aesthetics as it is about the actual gaming experience. For these people, the company implemented customizable RGB lighting and swappable backlit custom tags. With these things, you'll be able to build a truly unique device to stand out from the uninspiring crowd. 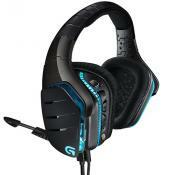 Summing it up, Logitech G933 Artemis Spectrum has it all. From superior sound performance to controls and customization, it doesn't come up short in any major category. 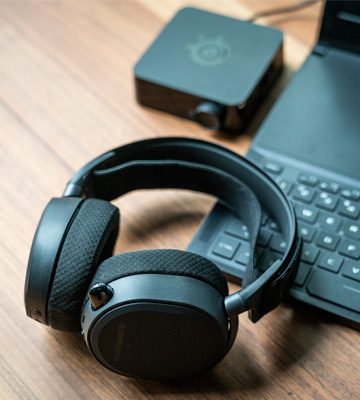 Plus, with 107dB sensitivity, these wireless headphones are loud enough to outvoice any crowd at any LAN. 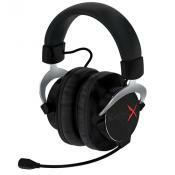 Stylish, inexpensive, and functional, you can't go wrong with this headset. The construction seems pretty sturdy. 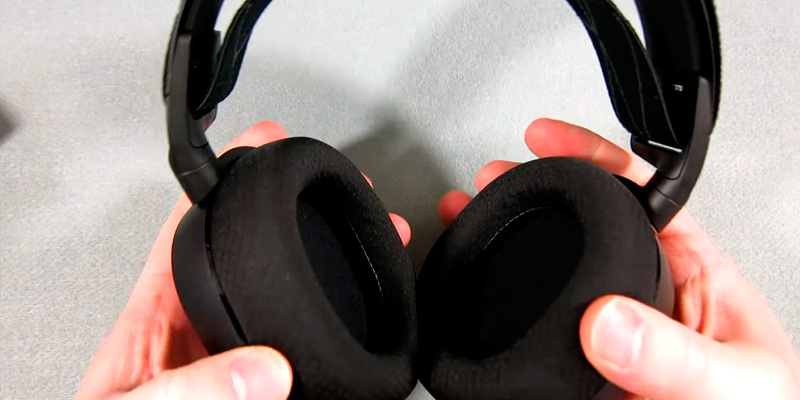 Had Steelseries Siberia v2, they didn't look very solid from the beginning. The sound, the highs and lows, the crispness of the sound, and overall quality are second to none. This head set sounds absolutely great. 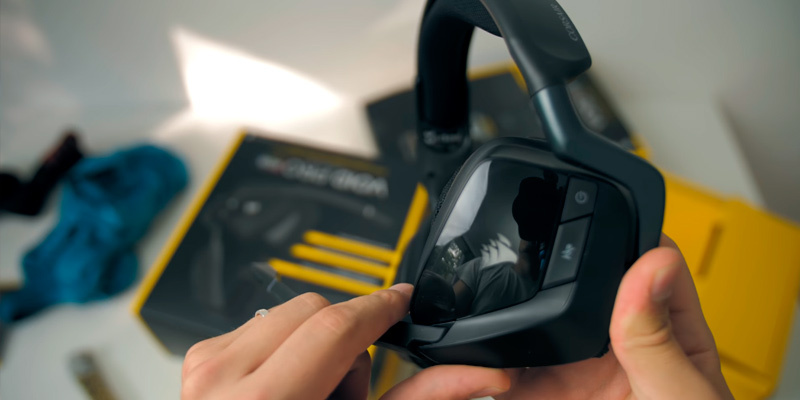 Corsair isn't as much of a veteran of the gaming scene as Logitech but the company has been able to already make quite a name for themselves and, with products like Corsair Void PRO, it is crystal clear why and how that happened. Now, it's not like the model doesn't have its flaws. It isn't cheap. Some find the microfiber ear cups a tad uncomfortable. The microphone isn't retractable. But these things hardly make a major difference. 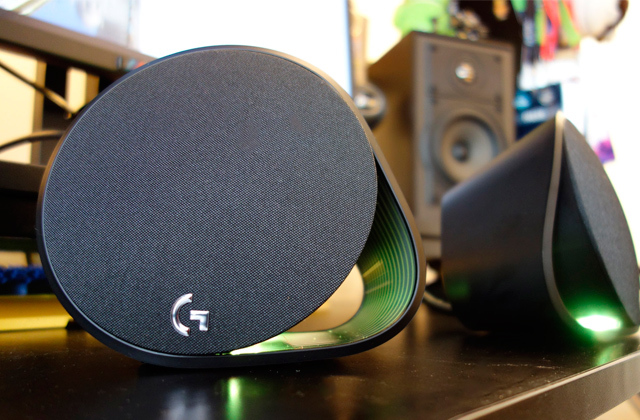 What does make a difference, however, is the custom-tuned 50mm neodymium speaker drivers. These things bring the action to life with the widest range and staggering accuracy. 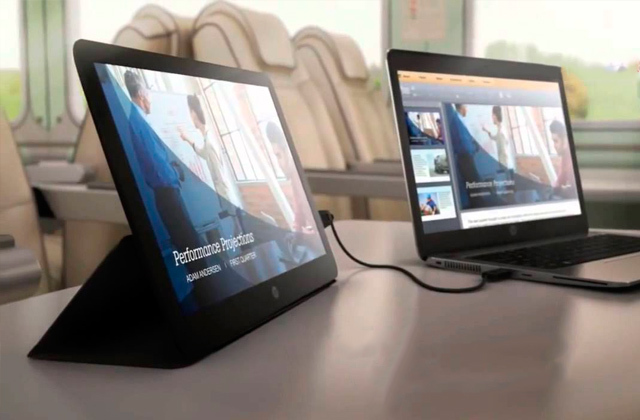 You'll be able to experience its epic audio performance with next to no latency at a 40-feet distance. 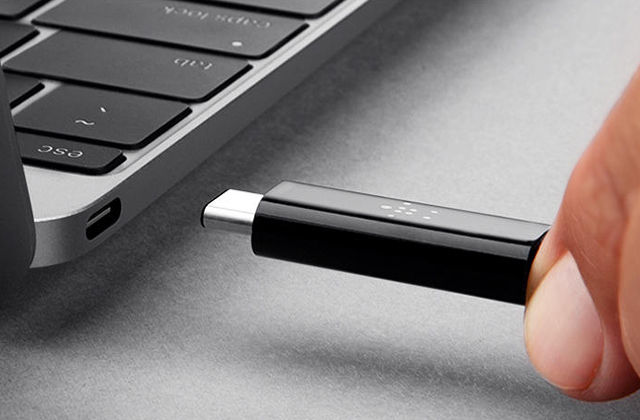 The battery lasts for 16 hours, so you'll be able to pull a respectable gaming marathon on a single charge. Gaming peripherals have a reputation for being flimsy. With this model, that couldn't be further from the truth. Incorporating metal structural components and glass fiber infused plastics, these wireless headphones are the definition of durability. Needless to say, no gaming headset is complete without a quality microphone. In this case, that role's assigned to the optimized uni-directional mic with an LED mute indicator. It does a bang-up job reducing ambient noise for excellent voice quality. Without boring you any further with the details, Corsair Void PRO doesn't leave a whole lot of room for complaints. Though advertised as a wireless gaming headset, the model is just as awesome for exploring all genres of music and cinema. Once you get used to its level of immersion, you won't be able to settle for anything less. 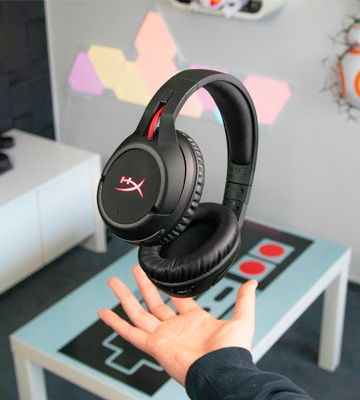 There's a lot to like about HyperX Cloud Flight. 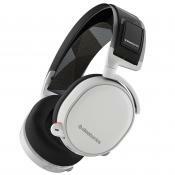 The artificial leather ear cups with foam cushioning give you the company's signature comfort. These cups also rotate 90 degrees, so you'll be able to make a customized fit and make your ears even more comfortable. The detachable uni-directional noise-canceling microphone will allow you to deliver clear callouts to your teammates with its minus 45 ± 3 dB sensitivity. 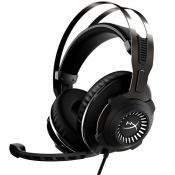 Fitted with a durable adjustable steel slider, the headset is built to endure the rigors of daily gaming. Add to that the high-quality plastic construction and you end up with a pair of headphones that's virtually immune to wear and tear. The company's proprietary 50-mm drivers deliver crisp lows, mids, and highs, improving the ambiance and overall immersion. Now, it's not like it doesn't have a drawback or two. Although the only real issue we have with it is the lack of support for any surround sound technology. But we can't say that is an insignificant and unimportant detail. However, one could argue that the ridiculous battery life makes up for the aforementioned blunder. Able to work for 30 hours straight on a single charge, the model will be able to support you through the most insane gaming session. 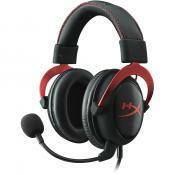 All in all, HyperX Cloud Flight is a wireless gaming headset that will never give up on you. 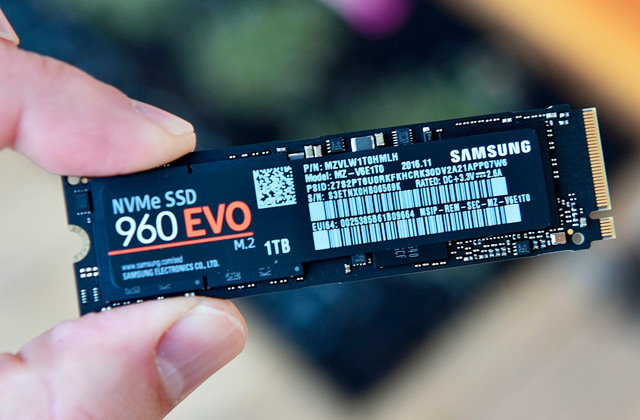 It isn't cheap but the model will be able to support you through countless gaming ventures. It will also let you make a customized fit and control everything with on-board dials. 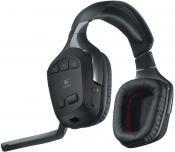 What Is a Wireless Gaming Headset? 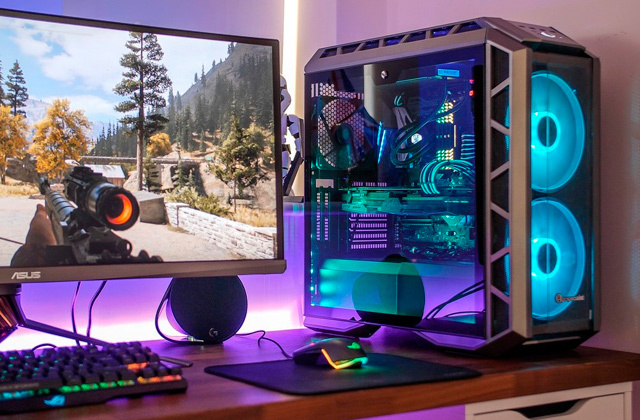 Gaming isn't just about performance. it is also about the comfort necessary to bring out every ounce of your skill. When everything is on the line and one tiny mistake is the difference between flawless victory and crushing defeat, you need to make sure that you're able to bring your absolute best. With a bunch of cables and wires literally tying you to a single spot, it can be a little difficult. With a wireless headset, on the other hand, you don't get the same issue. 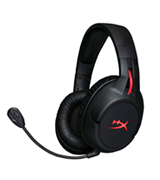 As you'd imagine, a wireless gaming headset is any device that combines the quality of a gaming headset with wireless functionality. It has to be accurate and precise, able to bring out every detail. One sound, one squeak of a door next to you, one grenade being thrown 50 meters away from you that your headset hasn't been able to catch can result in the most embarrassing loss. But, with these models, that'll hardly be an issue. 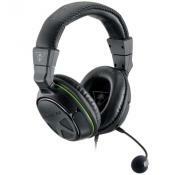 Any one of these headsets will allow you to perform to the best of your abilities. 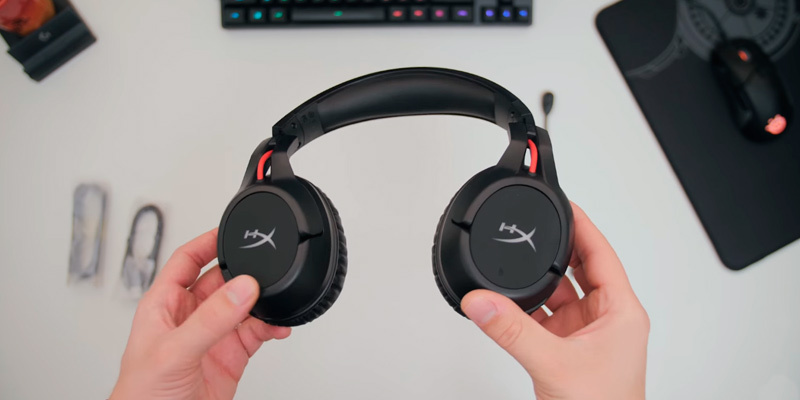 Just keep in mind the specs, what they're most suited for, and you should be able to pick the best wireless gaming headset for your needs and preferences. Looking to further declutter your desk? One of these wireless gaming keyboards and wireless mice should do the trick.